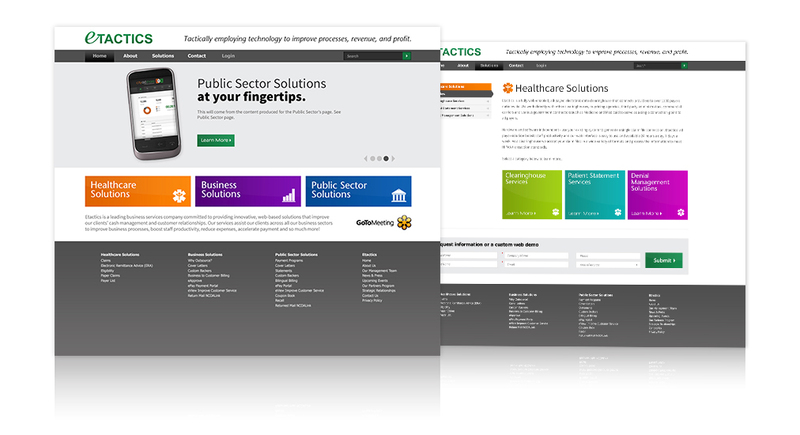 Etactics came to us in desperate need of a clean, refreshed look to their powerful website. Formerly text dominant in design and complicated in UI, the new Etactics website is clean, colorful, visual, and most importantly- simple to read and navigate. Gone is the excessive content and multi-tiered linking, and in place is a simplified, accordion navigation in the left column of the interior pages, categorized under the three restructured service categories. 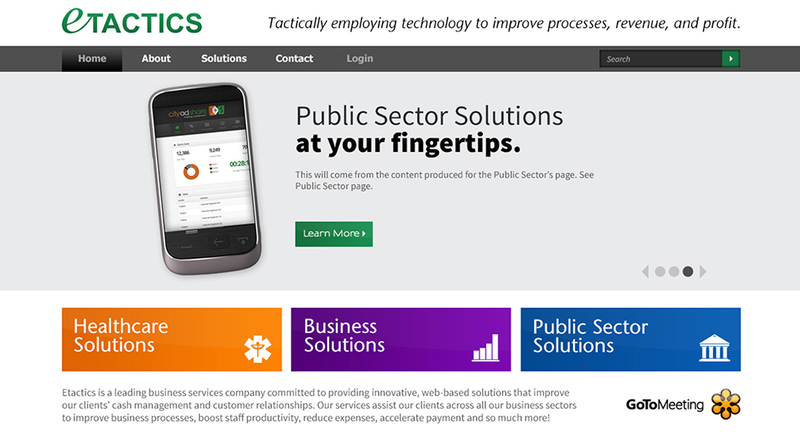 As with all Quez Media websites, Etactics' new site is fully responsive in design, finally allowing them to command attention on monitor and mobile.